The theme of the month was the Japanese Momotaro story, a folk hero born from a peach who defeats a band of demons and lives happily ever after. As you would assume, this box was filled with delightful peach and copper tones! 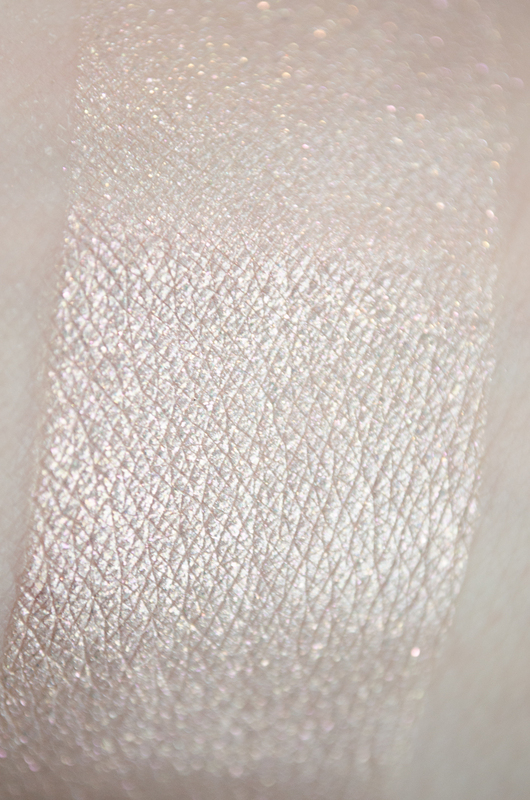 This is a new product that Hello Waffle has developed that is super sparkly and a bit sheer. 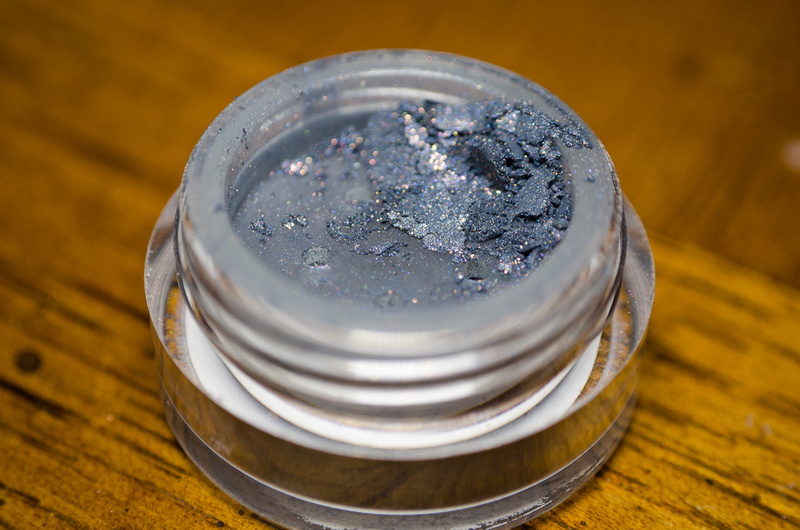 Christine recommends using it over a sticky base to get the best sparkle, and in the swatch above it has been applied over Darling Girl Glitter Glue on the bottom half, and just Urban Decay Primer Potion on the top half. Kiji is a very pale peach with gold and copper sparks. 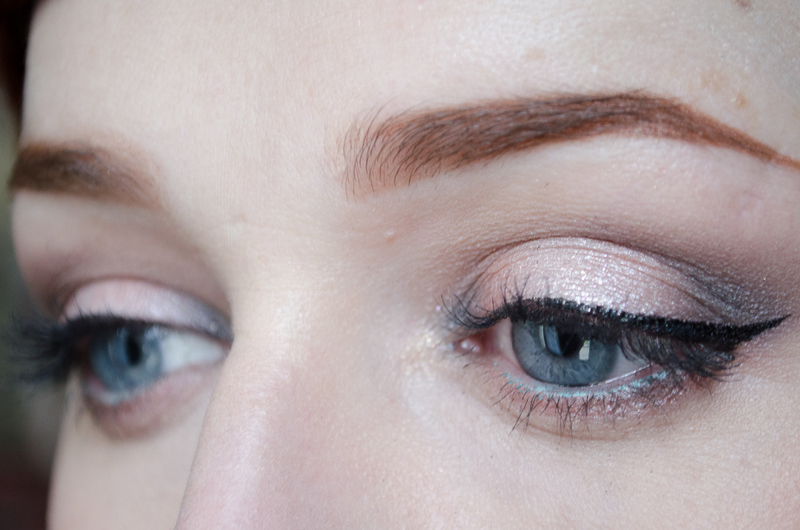 Although I didn’t use this product to layer shadows in my look, I think it would be great to add some pizazz to other shadows. It is really luminous and really catches the light in a beautiful way. Aaahhh I LOVE PEACHES. I couldn’t have been more excited when I heard the box was going to be Momotaro themed and this shadow really justified my excitement. 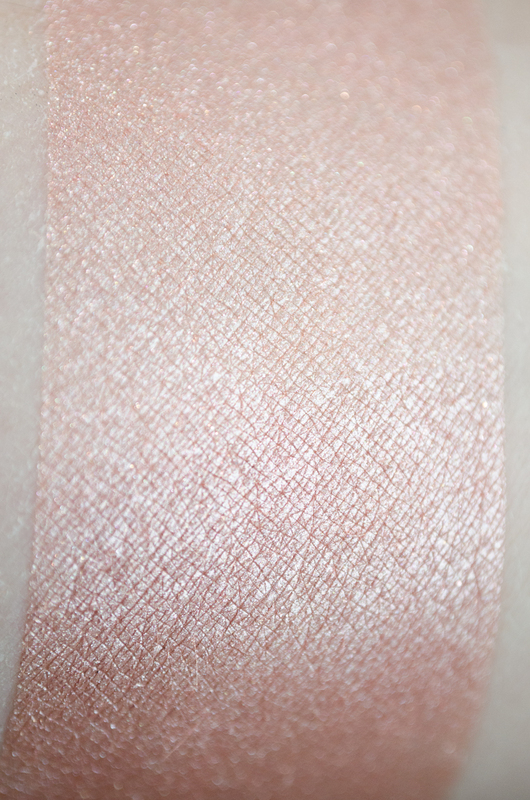 Saru is a very creamy, pigmented shadow, and a luminous pinky-peach. A simple description for a truly beautiful shadow. Oni Island is so gorgeous! It has a shimmery dark navy base and is absolutely loaded with red, gold and copper. 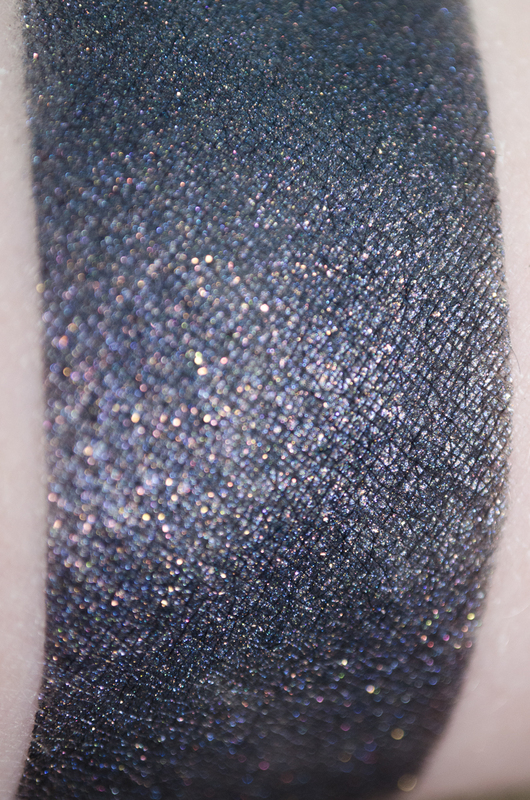 I found that this shadow stained my arm just a little bit after I did the swatch, and of the three it takes a little more work to blend by virtue of being a very dark color. Still, the pigmentation is excellent and it works soooo well with the other two peachy colors, I think it is really what makes this set so usable in terms of coming up with novel looks. 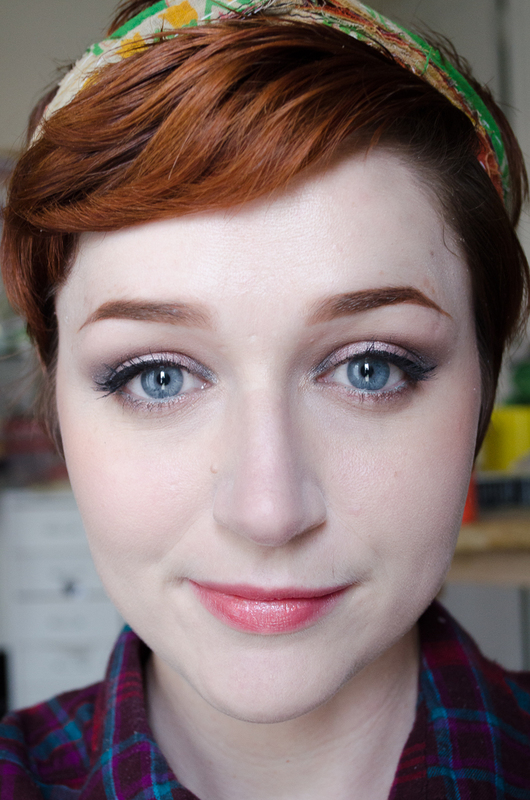 I’ve been wanting to try a darker navy smokey eye sometime soon, and I think this will be just the thing for it! I love love love peach blushes, and I think this is the truest peach color of the collection, being a bit more orange leaning than either of the peachy colored eyeshadows or the peach colored gloss. 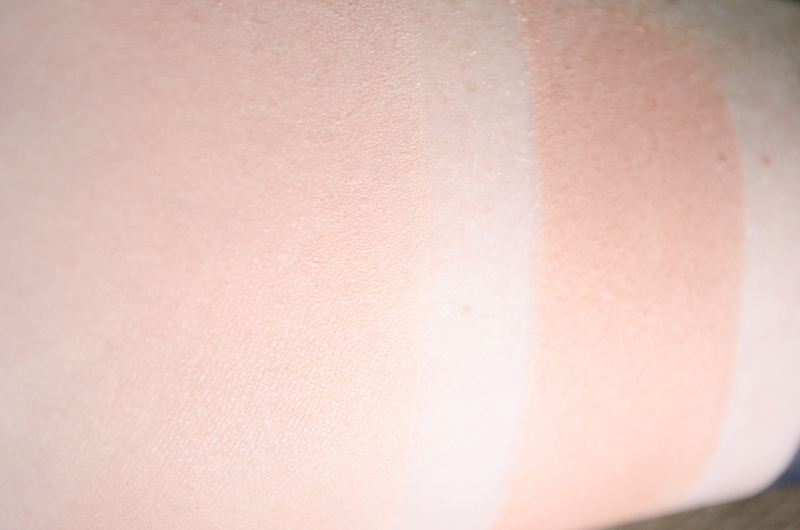 In the swatch photo above it is applied heavily and blended out on the left and applied fairly opaque on the right. 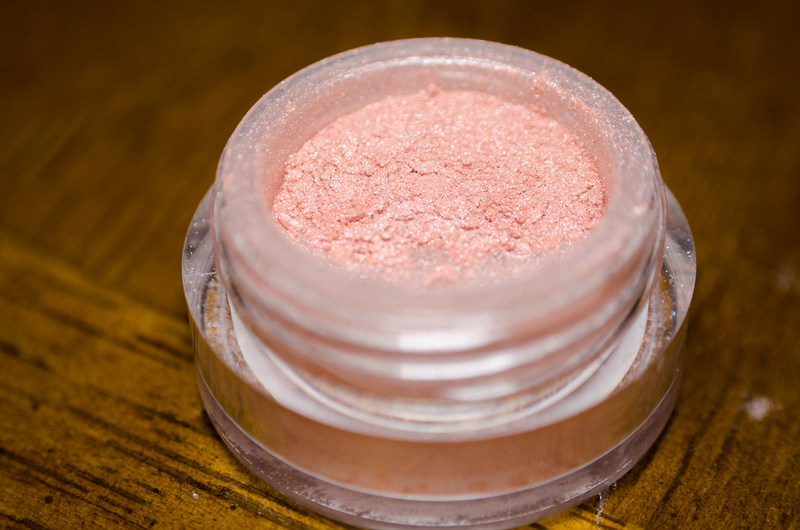 It has the same blendability and pigmentation as other Hello Waffle blushes and is going to be a perfect color to use in the springtime. Though in its description in the box it is called an ‘orange peach’, I would call this a pinky-coral. 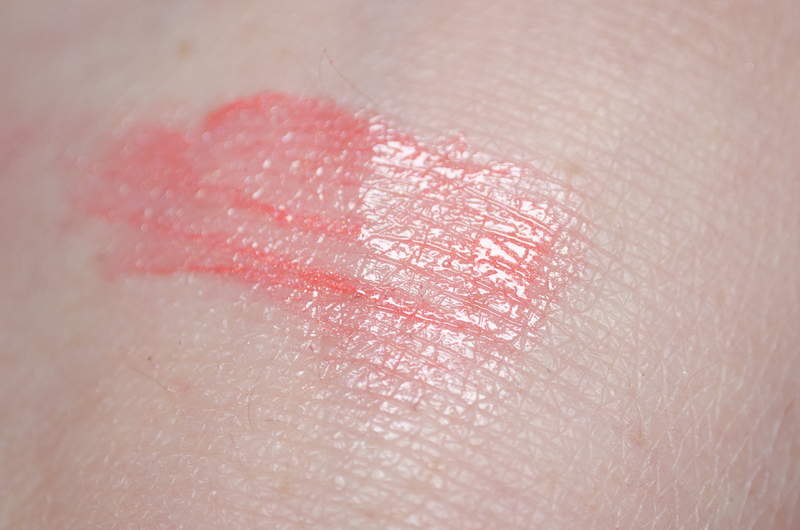 I found actually applied to my lips that it was a very lovely pink shade, with coral leanings. 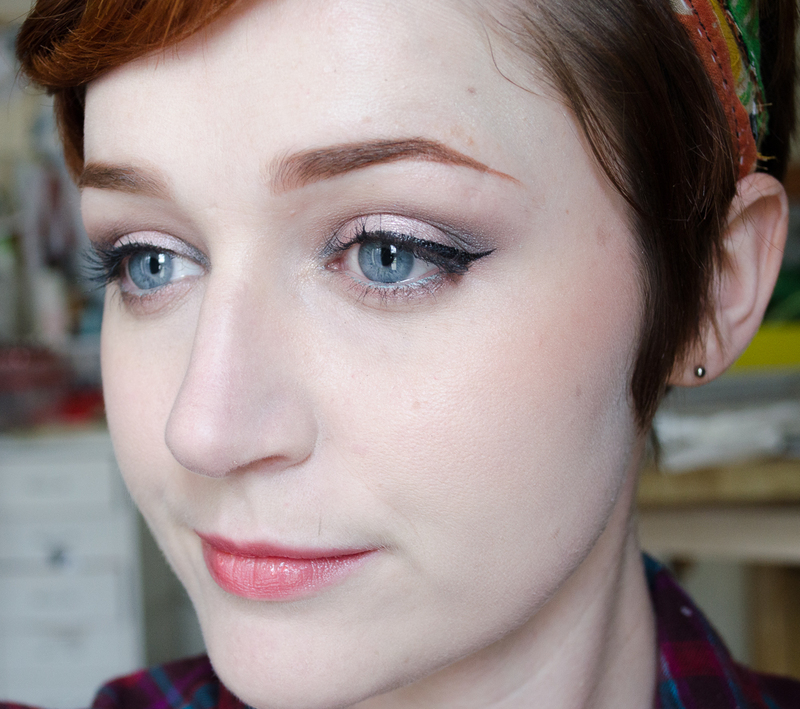 This is my first time using a Victorian Disco gloss, actually! It’s not very sticky and applies smoothly. I would say it has moderate pigmentation that doesn’t last quite as long as Shiro glosses but does last longer than your average gloss. 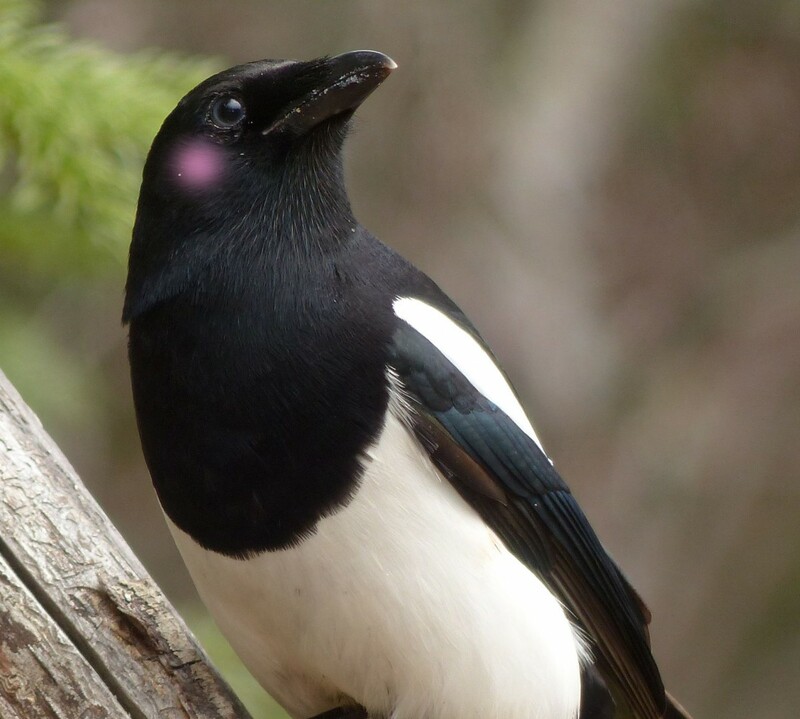 I think this would look particularly good layered lightly over another lipstick– I considered layering it over Chickadee but got a bit lazy when it came time to choose my lip options for the look. Overall, the box has four full size items and one mini size item, the value of everything coming to $32.50. Personally I don’t care as much about the actual monetary value of a box as much as whether I am likely to use everything I received (based off of set cohesiveness, product quality, and whether the colors are right for me), and this set DEFINITELY knocked my expectations out of the park! I love peaches so much and I think everything created for the Visage this month was well thought out and executed. I especially enjoyed the opportunity to preview a new Hello Waffle product (the overshadow), and loved that I had enough to make a full face. I don’t think Turn Around Time is as important for beauty boxes, so long as you get it sometime within the correct month, but I received this on January 10th, so Christine certainly didn’t keep us waiting! I applied NYX Milk on the center of my lid and applied the Kiji overshadow over top, Saru on either side, and then Oni Island on the inner and outer corners of my eyes. 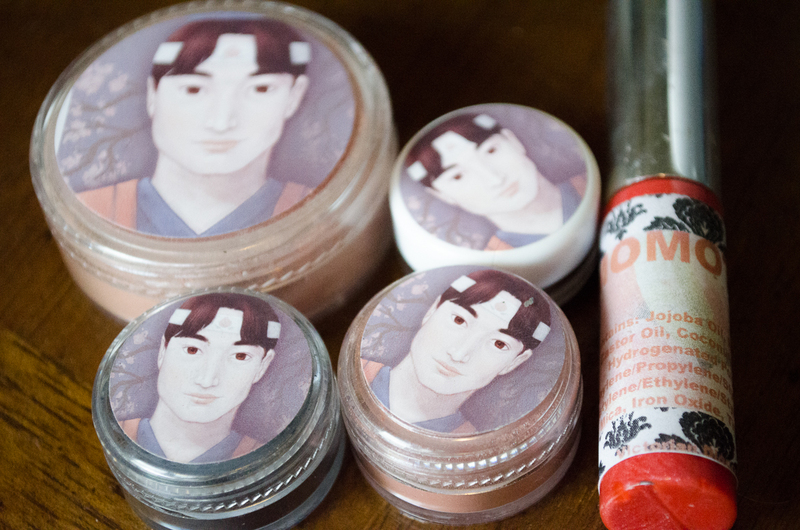 I also applied Saru on the lower lid, with a little Oni Island on the outer edges, and some Kiji on my tear duct. I also used Darling Girl I Smiled Once in the crease, Laura Mercier Morning Dew on the browbone, Kat Von D Tattoo Liner for the wings, and The Makeup Store Eye Pencil in Blue Lagoon on my waterline. 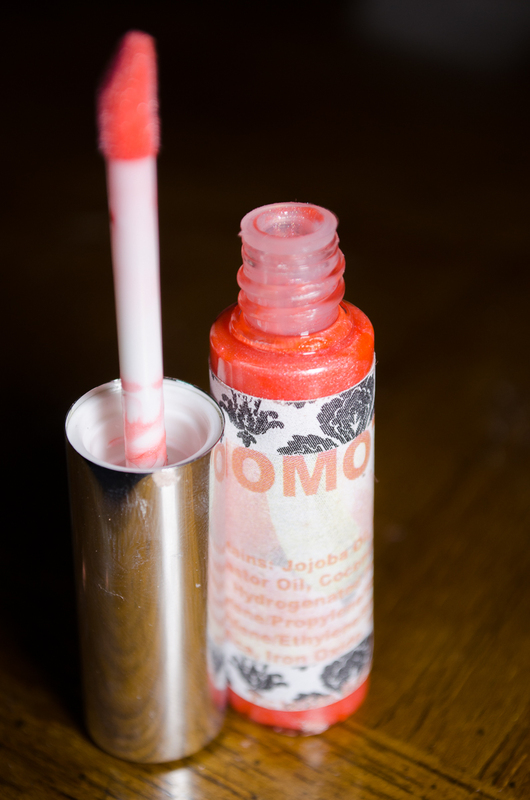 You can see that the color of the VD gloss isn’t overwhelming, but is a nice, natural color. 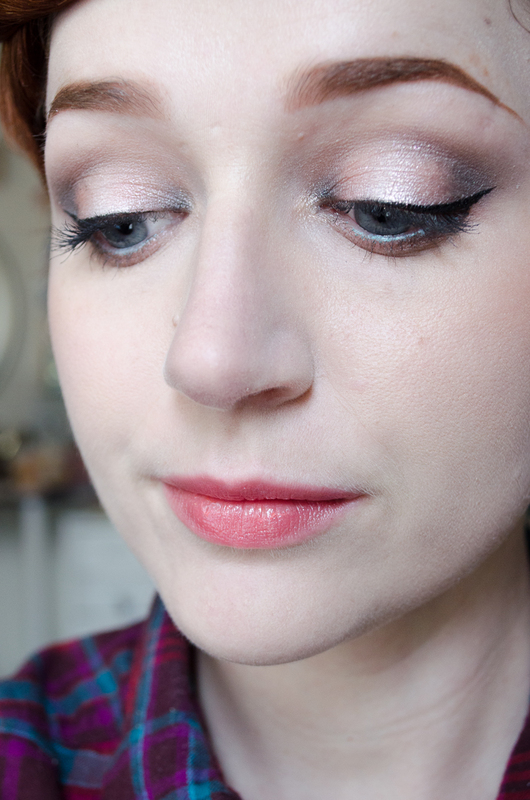 I’m not usually a fan of glosses, but indie glosses have really started to convert me. 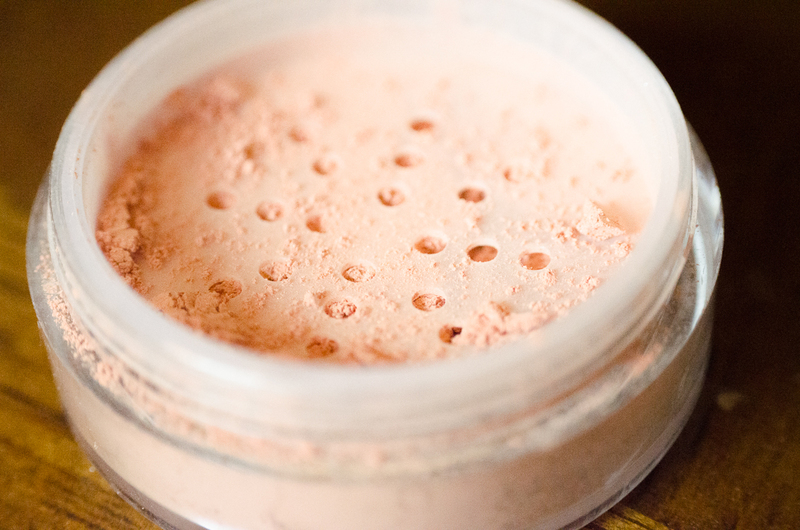 I looove this blush! 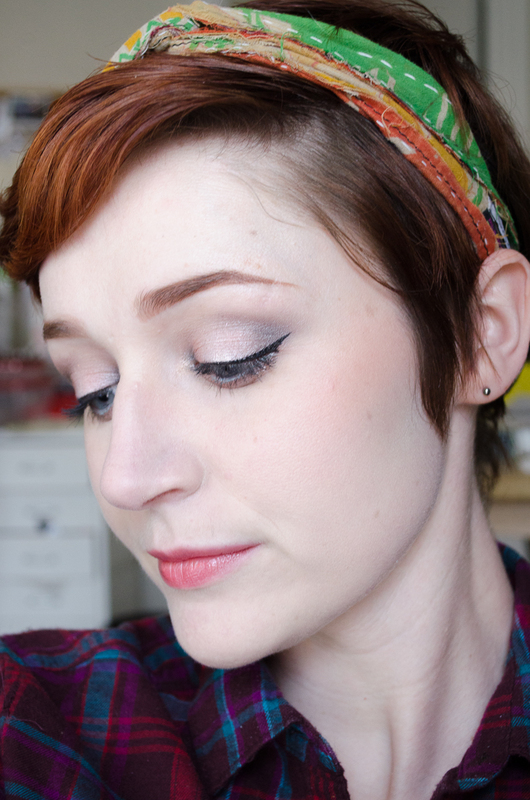 I couldn’t help but think that it made my skin look a bit like a peach when I was applying it. I found it to be buildable and it blended well with my contour. 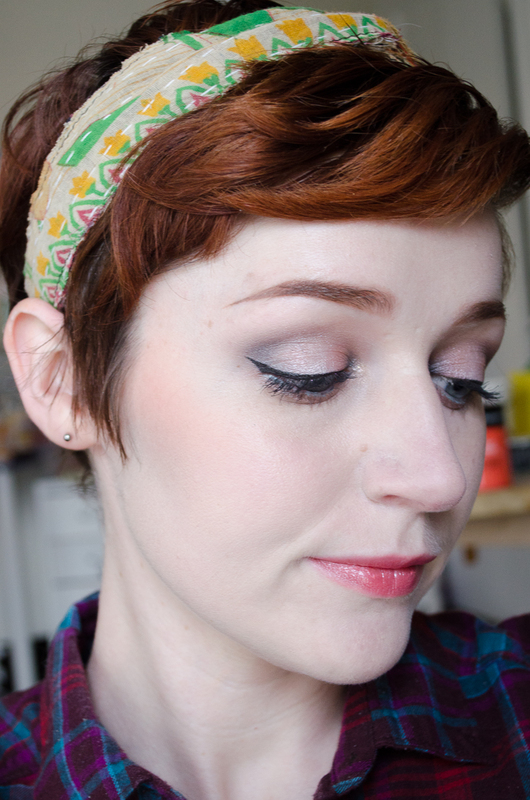 I’m also using Blackbird’s Lessen Skulpting Powder for a contour shade here, and am loving it so far! 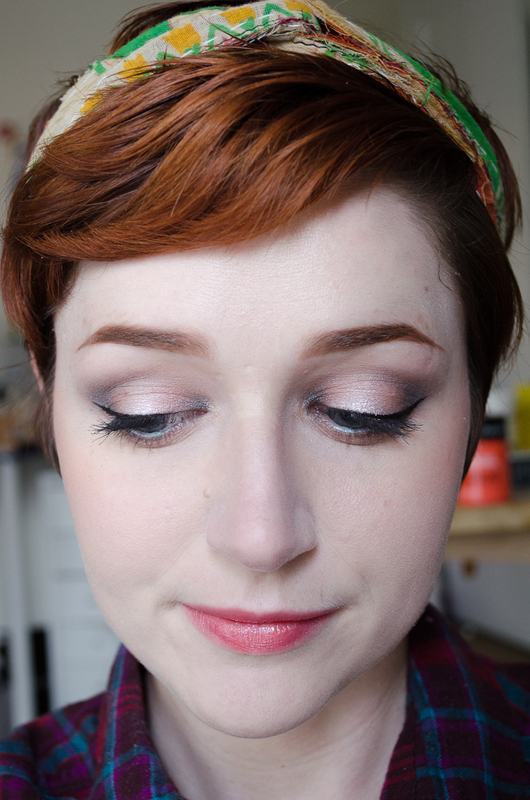 A fresh, peachy look with some pretty, peachy products! I am very pleased with my Visage subscription this month! I was initially cautious about signing up for the box because it’s more expensive than other beauty boxes I’ve paid for in the past (I LOVE my Notoriously Morbid Vanishing Cabinet subscription, and though I cancelled my Rainbow Honey subscription I also adored that, both of which are under $15 including shipping), but the quality and thought that Hello Waffle puts into this box convinced me after I saw what the first month looked like. I was equally pleased in December, and am excited to see what next month’s theme will be! And on the note of responsible purchasing, Hello Waffle is running a One Year Anniversary sale tomorrow, 20% off all products! There are extras of this Visage box available for purchase. If you’re looking to sign up for Visage itself, the box has limited slot availability, is available for sign up on the 29th of each month, and once you’re signed up you’ll continue to receive monthly boxes until you cancel. That blush is like a dream! I TOTALLY agree, it is incredible!